German Talmudist; father of Ẓebi Ashkenazi; died at Hamburg Nov. 28, 1706. Meshullam Zalman was one of the most respected members of the ghetto of Vienna. When the Jews were expelled from that city he went with his family to Berlin, where also he achieved prominence. 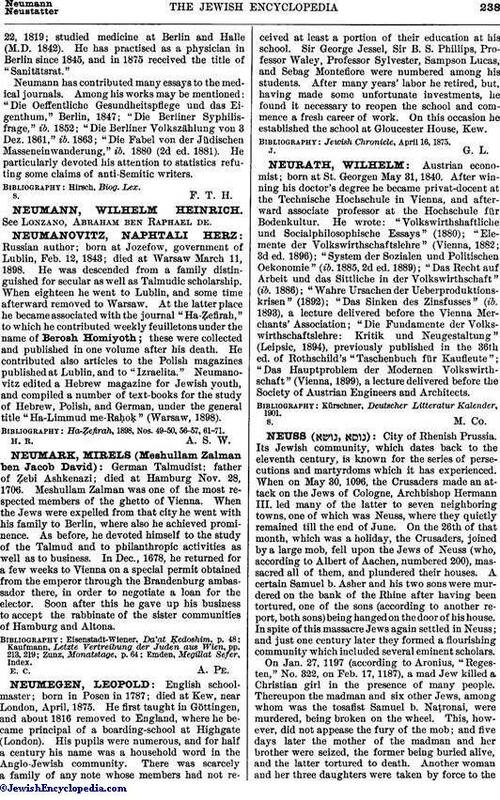 As before, he devoted himself to the study of the Talmud and to philanthropic activities as well as to business. In Dec., 1678, he returned for a few weeks to Vienna on a special permit obtained from the emperor through the Brandenburg ambassador there, in order to negotiate a loan for the elector. Soon after this he gave up his business to accept the rabbinate of the sister communities of Hamburg and Altona.